Substance abuse does not only harm the addicted individual. For every person who struggles with abusing substances, there is a network of parents, children, and loved ones who are also affected by that addiction. Traditional Intervention is conceived of as a single event where family members explain how the addict’s behavior has affected them. Systemic Intervention is conceived of as a two-way, continuous conversation. The individual who struggles with substance abuse is invited to express his or her point of view. The family, friends and addict have multiple interactions leading to a mutual decision to seek treatment. This not only eases the pressure to stage a single successful intervention, but it also makes recovery a more collaborative process in which all parties have an active role. Traditional intervention is planned without consulting the person who is struggling with substance abuse. This can sometimes worsen already tense relationships, making the addict feel like his loved ones are ganging up on him. In systemic intervention, the person who abuses substances is part of the conversation from the beginning. Both family members and the addict participate in conversations about recovery, allowing them to make decisions together. In this way, family systemic intervention helps rebuild damaged relationships rather than straining them. After a traditional intervention, life changes dramatically for the addict but not necessarily for loved ones and family. After a systemic intervention, life does not go on as usual, either for the addict or for family members. The intervention ends when all parties make a commitment to therapy. The person who is struggling with addiction typically enters a residential recovery program, while family members agree to be an active part of that process. Extensive research suggests that the systemic approach to intervention is effective. A study in the Journals of Adolescent Research (as cited here) found that teens who completed a systemic intervention were more likely to complete recovery. The systemic model is one of many evidence-based forms of therapy that may be incorporated into a customized treatment plan at The Ranch at Dove Tree. We encourage families to learn more about systemic intervention and how the principles of collaboration can influence recovery. In addition to incorporating family and relationships into our comprehensive treatment, residents at Dove Tree can benefit from a dedicated Family Week. This is an opportunity for families to learn more about addiction and residential treatment and get more involved in the recovery process. As the family member of someone who is seeking treatment for substance abuse, you may feel many emotions: isolation, concern, or frustration that the recovery is slow. 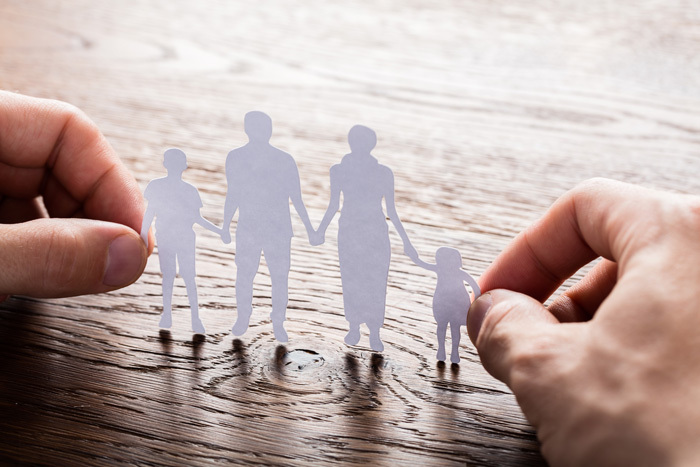 The family systemic model helps those who love addicts work through painful emotions, allowing them to actually participate in the recovery process rather than just supporting it. What is the Family Systemic Model? May 2, 2017. Retrieved July, 2017. Systemic Family Model Intervention. Intervention Support. Retrieved July, 2017.